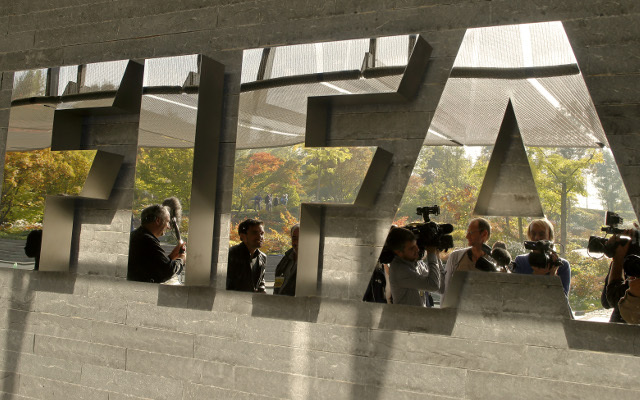 News broke early on Wednesday morning that seven serving FIFA officials had been arrested at a hotel in Zurich by Swiss authorities under suspicion of their involvement with briberies reaching figures of $100m over two decades, Sky Sports reported. FIFA vice-president Jeffery Webb was among the seven taken into custody, but Sepp Blatter is not involved, which was confirmed in a press conference held by the world football governing body a few hours after the news surfaced. Since the arrests, it was later announced that criminal proceedings had been opened over the 2018 and 2022 World Cup bids and, as reported by ESPN, all 10 members of the FIFA Executive Committee involved in the 2010 bidding will be questioned. The crisis has happened just two days before Friday’s presidential election. While FIFA announced in a statement that they were ‘pleased’ such an investigation was taking place for the ‘good of football’, Twitter users have been quick to voice their views, and many have taken to to the social media site to vent their anger over the current situation. I’m pumped for absolutely nothing of note changing and football being exactly the same after this. What a time to be alive. Chuck Blazer, football’s equivalent of Sonny “The Bull” Gravano, on a mobility scooter?